Ammar Al Attar obtained a master’s degree in international business from the University of Wollongong and a bachelor’s degree in business information technology from the Higher Colleges of Technology, both in Dubai. He later enrolled in local and international photography courses to develop his artistic skills. Al Attar has exhibited throughout the UAE and abroad, including at the 2013 Sharjah Biennial and the Archaeological Museum of Thessaloniki in Greece. He was selected for the 2013 A.i.R. (Artist-in-Residence) Dubai Program – a partnership between Art Dubai, London’s Delfina Foundation, the Dubai Culture & Arts Authority, and Tashkeel gallery. He is also a member of the Emirates Photography Society, Abu Dhabi International Photographic Society, and the Emirates Fine Arts Society. Al Attar currently lives and works in Ajman. Ammar Al Attar’s work focuses on creating a visual history of the United Arab Emirates, which includes recording his surroundings and the changes happening in Ajman, the smallest emirate. In Fish Market I, he documents the early evening hours at this popular emporium. Al Attar photographs the height of activity as fishermen drop off their daily catches to be auctioned off to shop owners. His photograph captures the fast-paced nature of the transaction by emphasizing the constant motion, underscored by the blurred movement of the crowd. 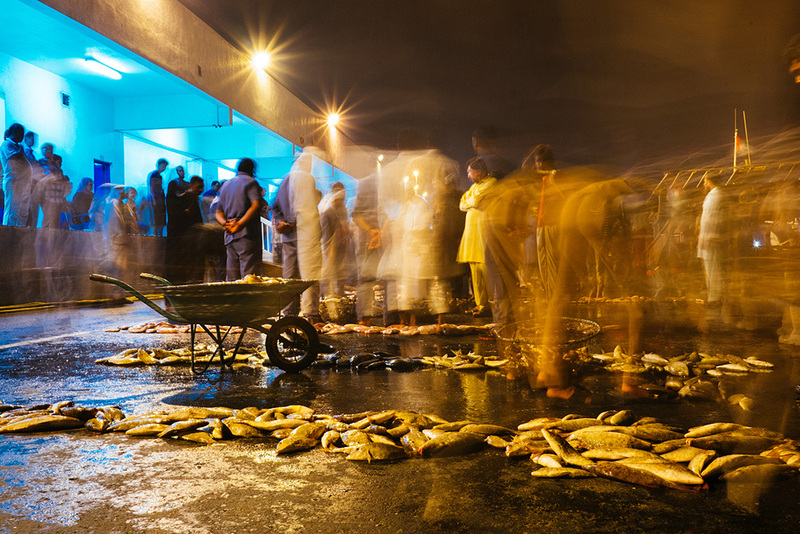 For Al Attar, in a country that appears to be changing by the minute, the market represents a place that remains unfazed by development and where people rely heavily on fishing as a source of income and sustenance.